In this guide we’ll take a look at the best fishing kayaks under $1000. What Is The Best Fishing Kayak Under $1000? 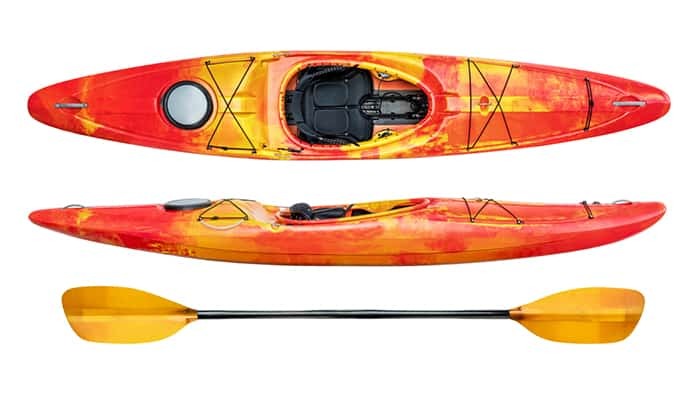 If you’re looking for a tandem kayak, the BKC UH-TK219 Fishing Kayak is an excellent choice. The sit-on-top model weighs approximately 70 pounds. However, it can hold up to three people and up to a whopping 440 pounds. With a width of 34 inches, the kayak offers a stable and enjoyable ride. Plus, it’s a lot of fun to ride along with a fellow angler or two. Included are no less than five fishing rod holders, making it perfect for duos and trios. If you prefer to fish on your own, the kayak handles great on solo outings, too. 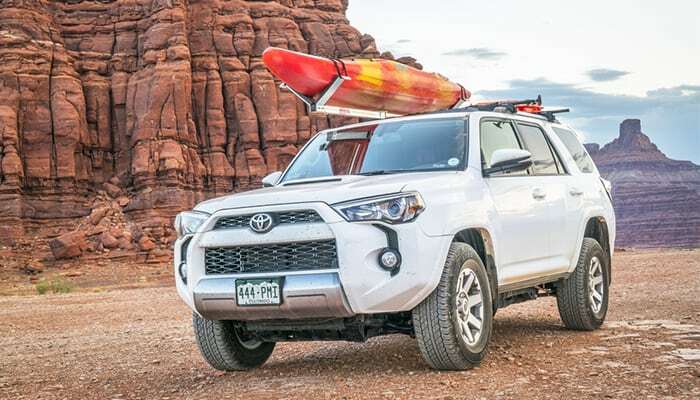 The company includes two 2-piece lightweight aluminum paddles for your convenience, and there is plenty of storage onboard. The rear cargo storage space has a bungee tie-down system, making it perfect for extended outings. Some owners complain that the seats don’t offer much back support, and at times, the seats slide forward while paddling. The company is great to deal with and is more than happy to answer customer questions. Weighing in at 46 pounds and measuring a mere 9 feet long and 32 inches wide, the Vibe Kayaks Skipjack 90 Fishing Kayak combines maneuverability and stability in a compact, well-built fishing vessel. On the top of my favorite features list is the easy-grip handles, making the kayak easy to tote around. The vessel even fits in the back of my SUV, so there’s no need for a roof system. Another key selling point is the limited lifetime manufacturer’s warranty. The company stands behind its products, so you’ll know from the get-go that any issues will be addressed timely by Vibe Kayaks. The kayak has a capacity of 300 pounds, and it’s stable enough to hold even stand-up anglers. It handles well on moderately sized waves, and it’s perfect for lake or ocean fishing. It tracks straight, making it the perfect vessel for beginners and seasoned anglers alike. There is plenty of storage; in fact, the kayak holds no less than four fishing poles. Best of all, the storage compartments kept my beloved cell phone and camera dry. While I plan to add some accessories, the Skipjack includes all of the essentials. 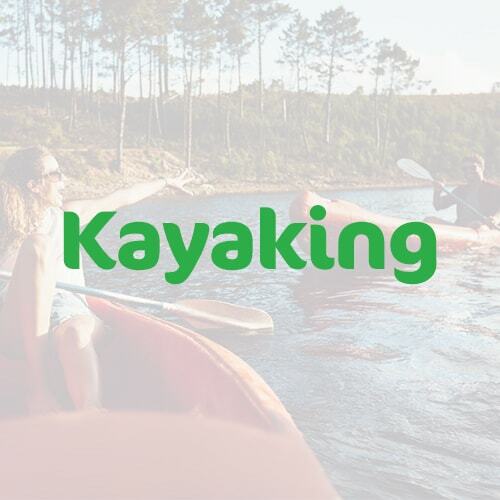 Warranty: Limited lifetime manufacturer’s warranty for defects on all new kayak purchases, and a one-year warranty on parts attached to the kayak. If you’re looking for top-of-the-line luxury, you’ll likely fall in love with the Bona Fide SS127. This sit-on-top model weighs 94 pounds, including the super-high seat. The vessel maneuvers well, and it offers plenty of stability for anglers who appreciate the option to stand while fishing. It tracks remarkably well, and has excellent turning power, which I truly appreciate. One of my favorite features is this kayak’s unique seat. Because it’s so high, it allows me to bend my knees, making it a very comfortable experience. But I also appreciate the fact that the seat can be easily lowered, making it ideal for anglers of various heights. The company has set the weight capacity at a remarkable 475 pounds, so you can easily haul your gear with no concern. The kayak measures in at 12 foot 7 inches long, making it much longer than many competing models. It’s also wider than most competitors with a width of 33.5 inches. While the price point is higher than most of the other kayaks I’ve tested, I feel safe in this vessel and I love the added features. It includes a Boss Strap rod management system, along with plenty of built-in storage. The SS127 doesn’t include a paddle, so you’ll need to purchase one separately. Overall, I give this model a solid A. It’s ideal for seasoned kayakers and tournament anglers. The highly rated Sun Dolphin Excursion Fishing Kayak is a sit-in model that weighs only 41 pounds and is 10 feet long in length. It’s ideal for ponds, lakes, and rivers. However, I wouldn’t recommend this kayak for windy days. The Excursion tracks straight and is relatively easy to paddle. It has a large open cockpit that provides a comfortable seating experience. The seat is padded and adjustable for customized comfort. Because it’s lightweight, transporting this kayak is a breeze. It has plenty of room for storage, and it’s sturdy enough to help me feel safe and secure on the water. Unfortunately, the weight capacity tops out at 250 pounds, so this isn’t the best choice for larger anglers. 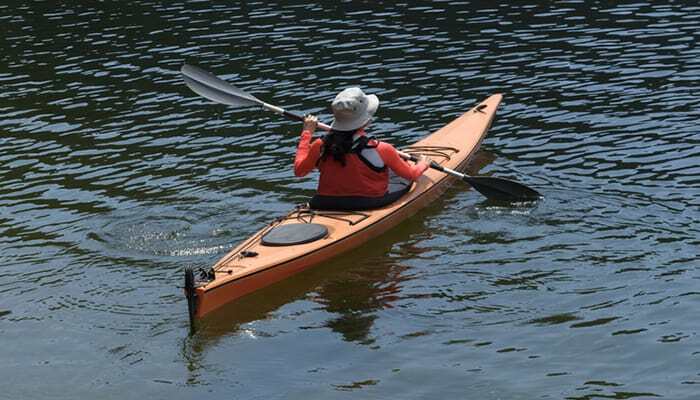 The kayak includes two flush mount rod holders and one swivel rod holder. It also comes with a water bottle holder, paddle holder, and protective thigh pads. The company does not include a paddle, so you’ll need to purchase one separately. Weighing in at 52 pounds with a length of 10 feet, the well-priced Lifetime Tamarack Angler 100 Fishing Kayak is a beginners dream. This sit-on-top model has a padded seat to keep anglers comfortable for extended outings. It includes two fishing pole holders and a rod holder, plus plenty of extra storage. 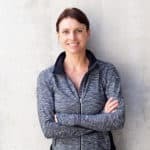 The weight capacity is 275 pounds, and the company includes a 5-year limited warranty, so buyers can purchase with confidence. The adjustable padded seatback and seat pad allow for customized comfort. There are also multiple footrests to accommodate riders of various heights. The vessel is sturdy, though standing and fishing takes some getting used to. Lifetime includes a built-in paddle keeper to keep paddles secure while not in use. This model comes with a lightweight paddle that breaks down for easy storage. 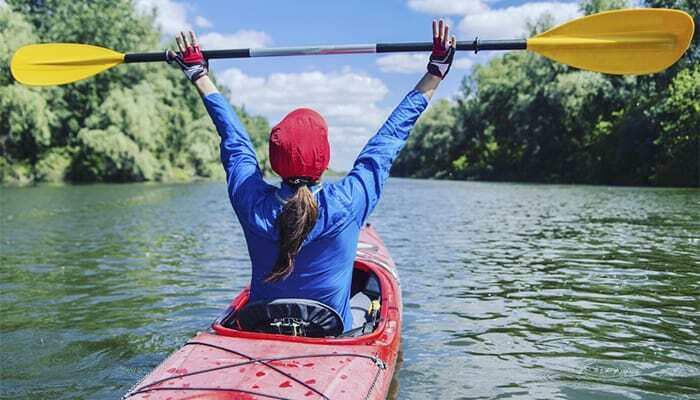 Length: The length of the kayak you should purchase depends on the bodies of water you plan to frequent. Kayaks with a length of less than 11 feet are easier to manage in smaller areas, while longer kayaks track much more quickly and are well suited for speedsters. If you plan to fish in local ponds or creeks, I recommend a shorter vessel. If you have plans to take your fishing adventures on larger bodies of water, however, opt for a lengthier kayak. You’ll also need to consider your own size when choosing a vessel. Shorter folks tend to do well with shorter kayaks, while taller/larger anglers fit more comfortably in longer vessels. Stability: There will be times when you need to stand to reel your catch in, so it’s imperative that your kayak is stable and up to the task. Unfortunately, too much stability can make the vessel difficult to maneuver, so the key is finding a kayak that offers both. 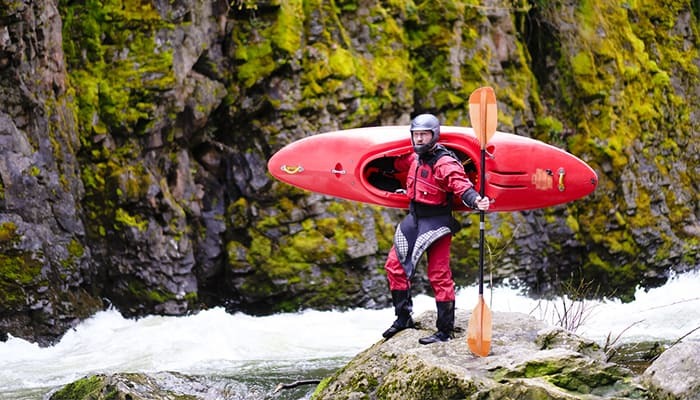 Keep your individual circumstances in mind when considering stability in a kayak. If you plan to change fishing locations frequently, a narrow, less stable vessel may be your best bet. If your goal is to stay in one place for long periods of time and/or stand while fishing, opt for a wider, more stable kayak to ensure you stay on your feet. Storage: It’s no secret that anglers tote a lot of gear, so it’s important to prioritize storage space when shopping for a vessel. 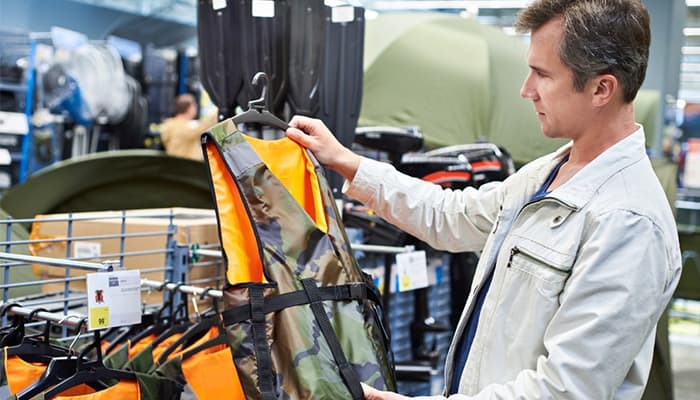 Consider all of the items you tend to tote on fishing trips to determine how much extra space you’ll need. 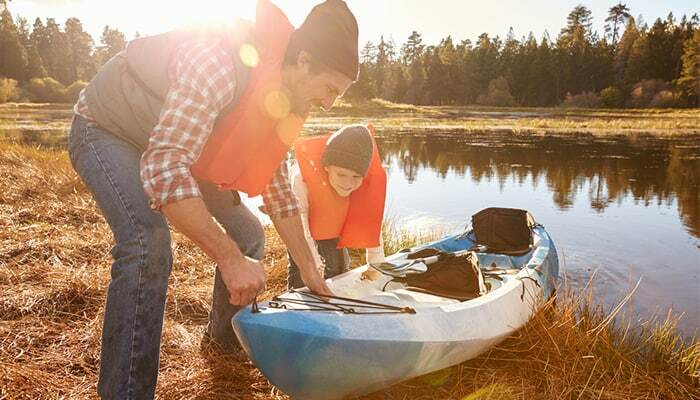 Many fishing kayaks are equipped with integrated storage and/or live wells. Some models include external storage or open space for gear. 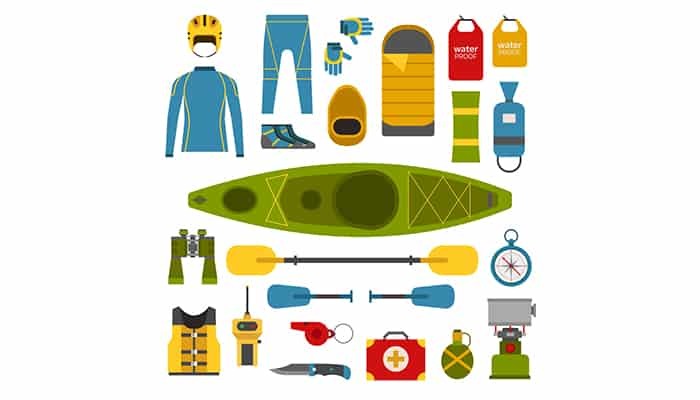 If at all possible, take your gear along when testing out fishing kayaks. Keel: Some anglers opt for kayaks with a keel, while others prefer to go without. Keels are essentially fins that assists with tracking, and they’re popular among those who fish in deep or open waters. For those who opt to stay in shallow waters or prefer fishing standing up, I recommend skipping the keel altogether. Portability: Although fishing kayaks get high marks for portability compared to powered fishing boats, the included features can make them rather heavy. Keep in mind that sit-in kayaks are generally lighter than sit-on-top models. Whether you need to prioritize portability or not depends on how far you’ll be carrying your vessel. If you plan to fish in areas that are accessible by car or truck, a heavier kayak may not be a problem. If you’ll be walking long distances, however, you’ll want a lighter model. 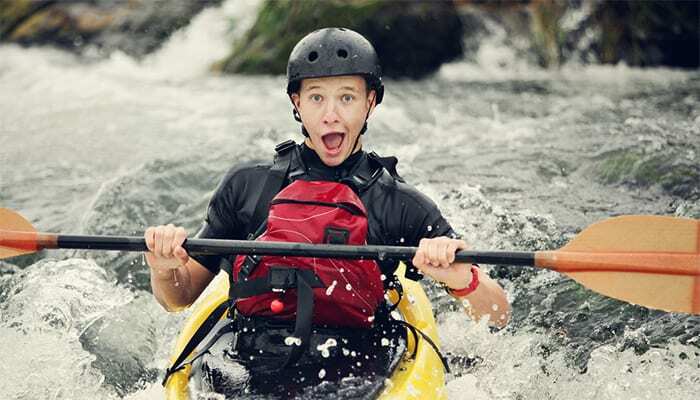 Keep in mind that there may be a learning curve with a new vessel, particularly if you’re new to the world of kayaking. 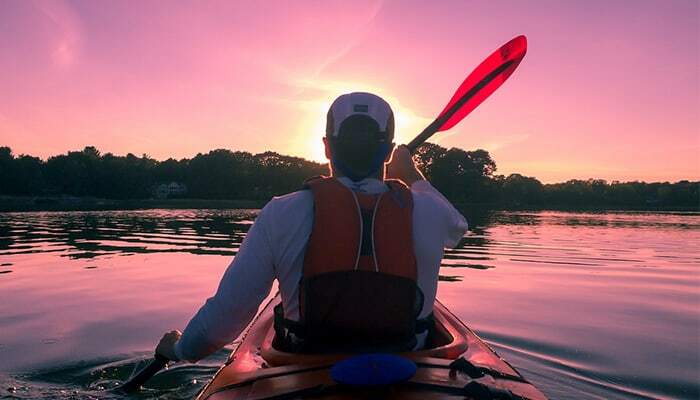 Be patient with yourself, and give yourself plenty of time to get acquainted with your new kayak. It may take a few outings to get a feel for the boat and to decide where to stow your gear. Above all else, enjoy the adventure!